I have seen lots of posts on Pinterest about using Sharpies on mugs and I have been dying to give it a go but I wanted to try something other than coffee mugs. (If you have not seen these stunning mugs do yourself a favour and search Pinterest for Sharpies and ceramics – wow there are some stunning ideas). One of the things that I really liked about these flower pots is the picture is already on the pots so for younger kids they have a 3D outline to work with. My daughter does not normally enjoy traditional colouring pages, I normally have to find pages that are a subject specific or find a unique way of doing the pages. 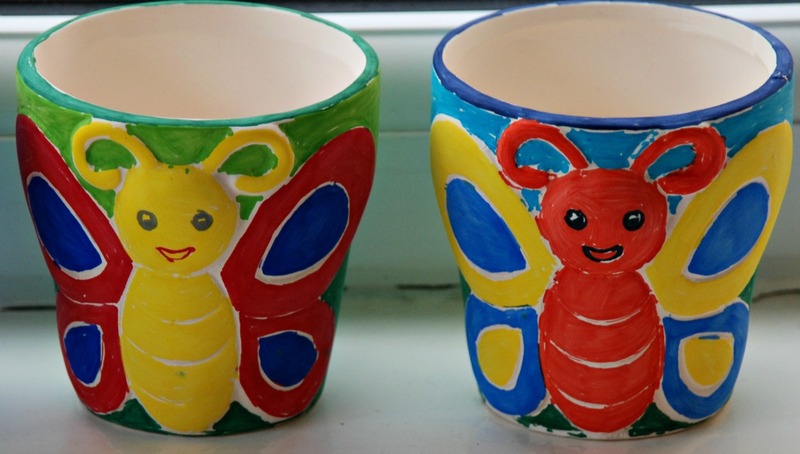 However she loved the idea of colouring the pots in. She sat and did an entire pot in one go. She seemed to enjoy the challenge of colouring in a 3D object and at times she did go out of the lines, but by leaving the background until the end we found that she could colour over some of her “mistakes”. 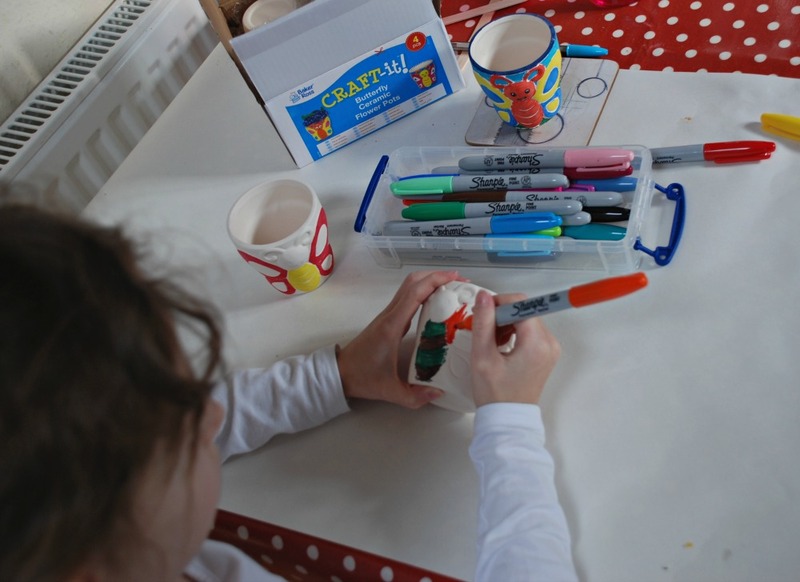 As she progressed onto her 2nd pot she got more and more confident with the 3D colouring. I love the final results. And this weekend she gets to go to our local garden center to choose what she is going to put onto her flowerpots. 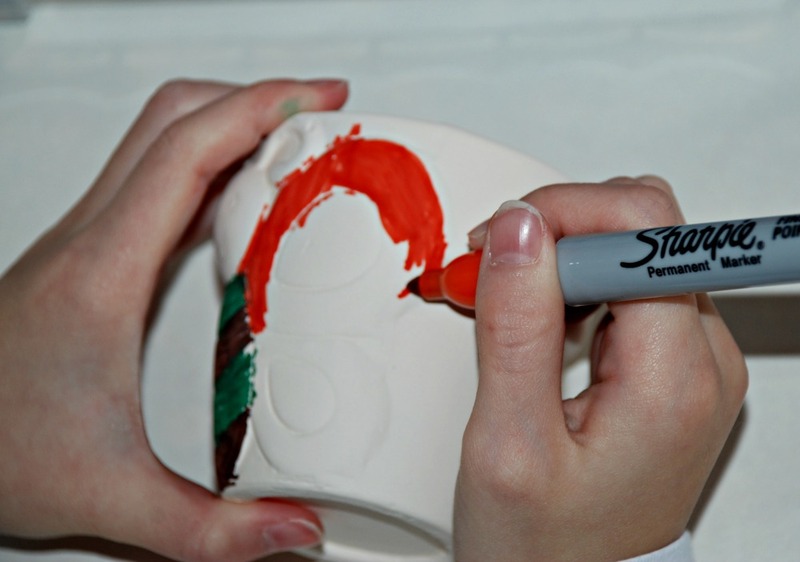 As my daughter has never worked on ceramics before we decided to do a little in-house experiment. We have baked two of the flowerpots (as per all of the advice about using Sharpies on ceramics from Pinterest) and we have not baked the other two. All four flowerpots are going to be on our windowsill in the kids play area and we are going to see how they last and compare what the differences are, over time, between the two sets of pots. 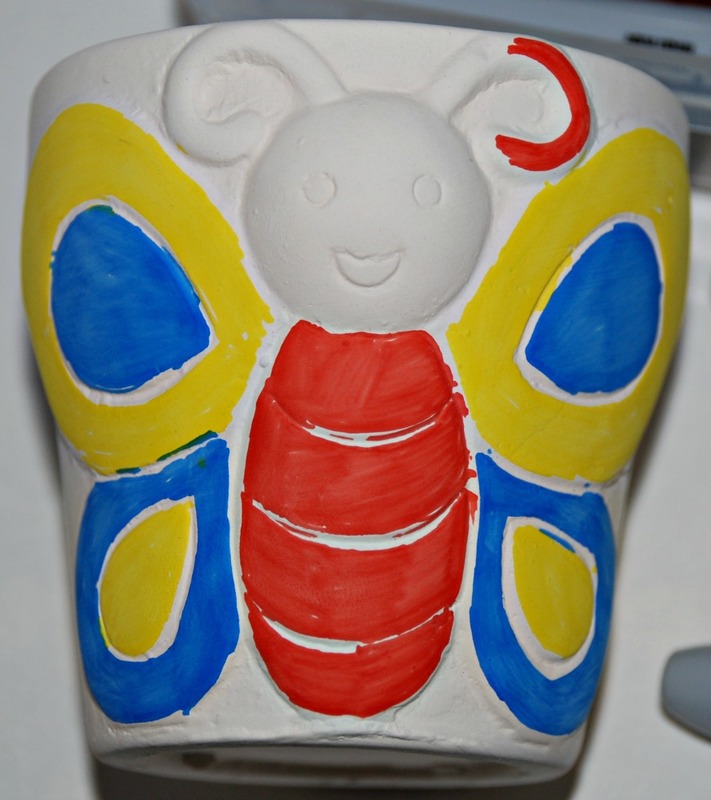 This entry was posted in Art and Craft Ideas and tagged Butterfly flowerpots, children's craft, Decorating flowerpots with sharpies, home ed, homeschooling, sharpies. Bookmark the permalink. Those are just lovely flower pots! The 3D is cool! My daughter colored a ceramic plate with sharpie once, at a church youth activity. I don’t think she baked it and it has faded over time but I would think she could easily go over it again.